A revolution of the feminine heart. 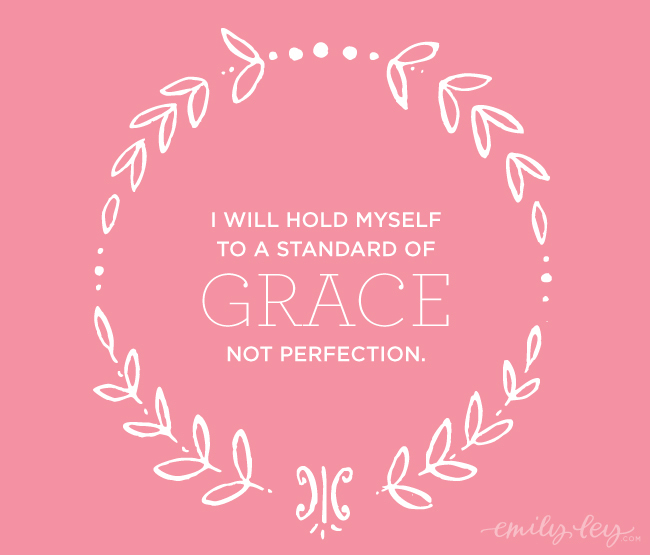 My thinking around the concept of grace began when I stumbled upon this image and quote by Emily Ley. It hit me like a perfectly timed slap in the face; actually, just when I thought that there was no end in sight to the pressure to be perfect. What does it mean to live a life less perfect, a life guided by grace rather than the endless pursuit of perfection? As women in particular we are surrounded by ideals and images of perfection everywhere we turn. It seems that it is not enough to simply cook for our family anymore; it needs to be green, raw and photographed to perfection as well. Our homes, our clothes and our belongings have become somewhat of an extension of our inherent value. It also seems that it is essential to find the perfect balance of the roles we take on, fulfilling career, giving back, personal style, health and wellbeing. Don’t get me wrong, all of these things matter; they make us who we are. However, the strain of seeking perfection can become the catalyst for constant comparison, which we know is the thief of joy! It can even lead to anxiety and depression due to such high expectations and unrealistic ideals. The constant flow of media into our lives is a reminder of what is considered perfect in broader terms. Living a life less perfect does not need to be about sacrifice though, it is not necessarily about being or having less. It is about letting go of the need to be somebody else’s version of perfect, and doing that with grace. In fact, if you are able to bring a little more grace into your life moment by moment, the impact will be profound. Choosing grace over perfection is not easy though; it takes a commitment to yourself, rather than outside influences. What is the most important thing in any given moment, and how will you decide what is acceptable? Living a life guided by grace as a value is not necessarily about the traditional and often religious meaning attached to this word. In our modern world this sometimes overlooked concept can make such a difference to the way we respond, the way we treat others, and the way we feel about ourselves. Aren’t these things some of the most important measures of our own happiness? ♡ Pause, allow some space and respond with grace rather than anger or raw emotion where possible. It is often the case that we default to anger when faced with a difficult situation or person. I find that taking a little extra time and consciously creating some space allows me to reflect and choose grace. ♡ The next time someone pushes your buttons, take a deep breath and remember it is more important to honour your own values than to simply be right or to make a point in haste. 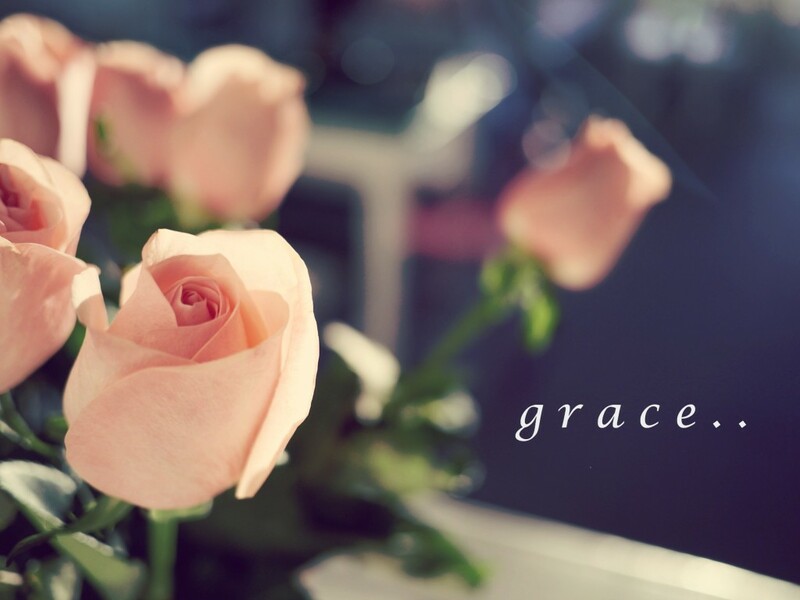 ♡ Grace in the sense of goodwill is always a good thing! Take the time to treat others with more kindness than is expected. Slow down and notice who needs your undivided attention most in any given moment. ♡ Learn the art of saying no. This will free up more time for the things that truly matter to you. Rather than trying to be perfect, or appear perfect, let that endless pursuit go in favour of staying focused on what really matters to you. ♡ Remember that less is more. A life less perfect is actually a life with more meaning, not less. If you are able to scale back on the things and the people that are not honouring your values, and do that with grace, you will open up more space for real joy. ♡ Look for opportunities to act with a little more elegance. Be a bit more gentle; this is what the art of grace is all about. It is not about perfection, it is about responding with manners, tact and refinement rather than on pure impulse. ♡ Hugely important in our world today, and especially to us bloggers, is the grace with which we approach the online space. Always remember your manners. Do not post anything that you are not willing to be seen by your family, your children, your colleagues. Maintaining a sense of self, dignity and authenticity is so important as we venture into a future where what we do online defines who we are and our future generations. It is my hope that grace may become something you strive for more often than perfection. It is a lot more realistic and a lot less draining! The art of a life less perfect will bring you more joy than you can imagine, more freedom and more abundance! I would love to hear your thoughts on the concept of grace, and your own experience of letting this powerful approach guide you towards your own life less perfect. Comment below! 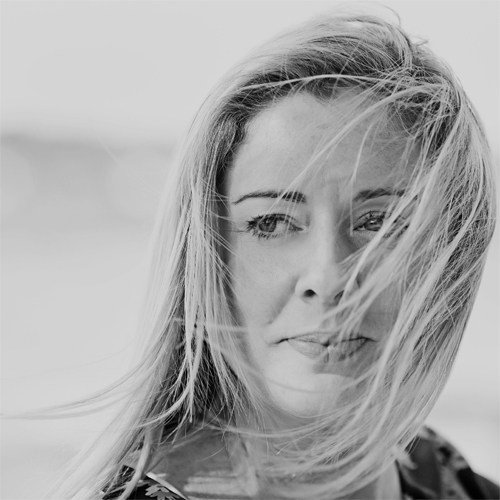 Lisa is a passionate Mother, blogger, professional fundraiser, event manager and volunteer for many causes close to her heart. Her mission is to CREATE A LIFE THAT MATTERS. Read her blog: The Art Of Joy.